Print Listing – The Top Post! 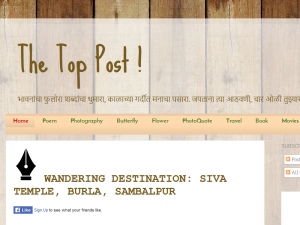 Blog Description: A blog with articles on photography, nature, butterflies, travelogue, poems, comedy writing. Written by Paresh Kale in Marathi and English.